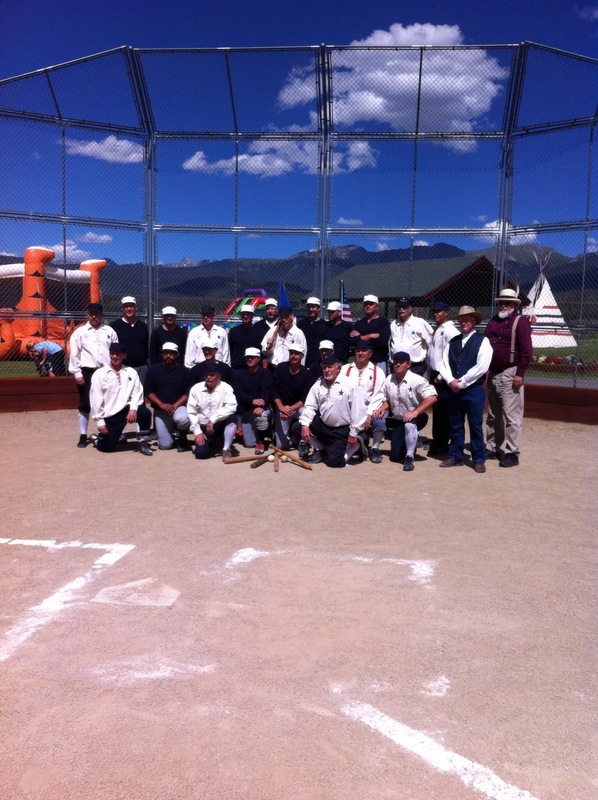 Rodeo was the draw in Fraser, Colorado. That’s pronounced ROE dee oh, for the uninitiated, not the Spanish inflected ro DAY oh. 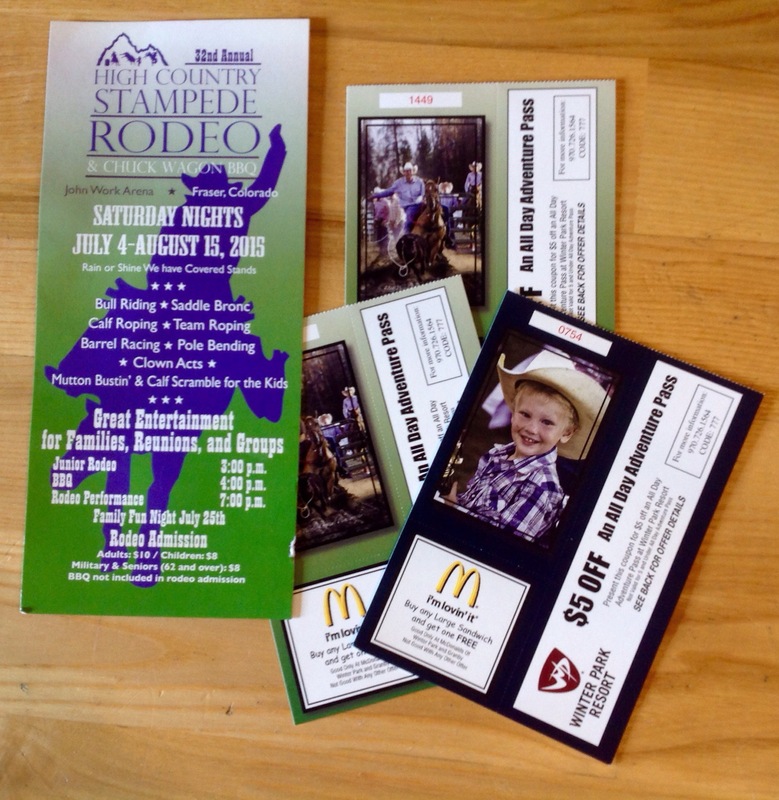 Every Saturday night during the summer, crowds gather to watch the barrel racing, calf roping, and bull riding. It was family night, the Saturday we chose, so there were also toddlers riding sheep and bigger kids trying to grab a ribbon off a calf’s tail for a prize. With childhoods in Texas and Oklahoma, Dad and I were quite familiar with the events, but it was Boy’s first rodeo. 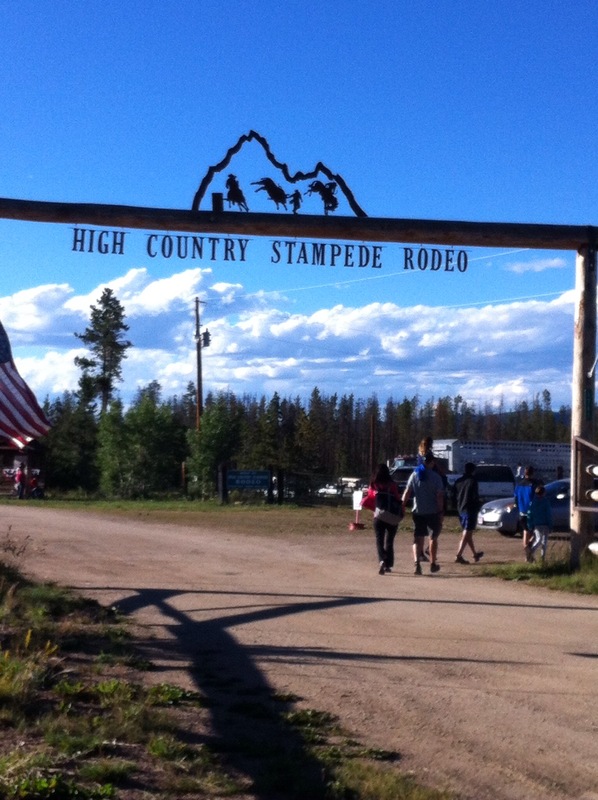 We sat next to the families of two teen boys who were participating as one of the calf roping teams. Boy had several questions about the event and the teens’ parents were happy to chat. We cheered loudly as the boys made a good effort in the team roping, but didn’t win the prize money this time. Boy’s favorite event was the barrel racing. The bull riding was also very exciting. We watched the bull riders trying to hang on for 8 seconds, and only one managed to last until the buzzer. Unfortunately, we also saw a rider injured when a bull stepped on him after his fall. An ambulance was required. Despite the injury, we all agreed that we preferred rodeo to bull fighting. The rodeo clowns used very similar skills to the bullfighters we watched in Spain. They waved banners, danced with the animals, demonstrated animal management, and showmanship, though in a much less bloody form. Our second weekend event was equally old fashioned. 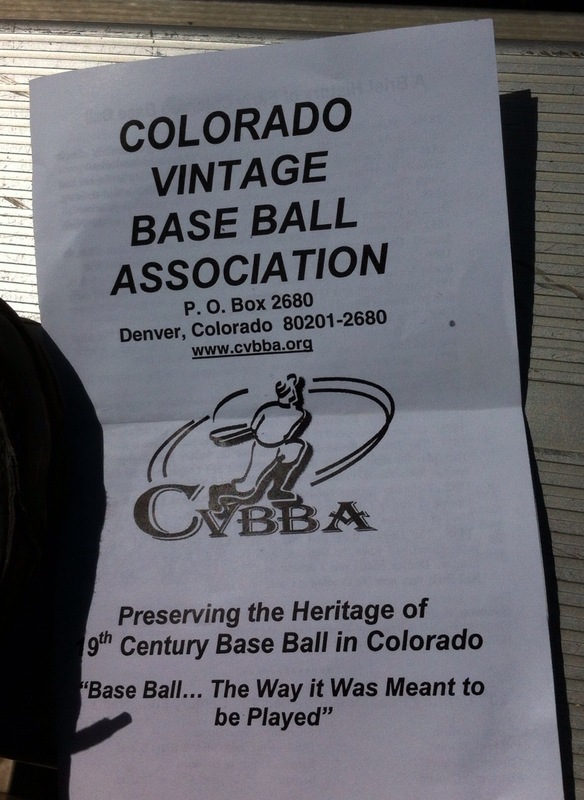 The Fraser sports complex hosted the Colorado Vintage Baseball Association for an 1860s base ball game (yes, that is 2 words, base ball.) Following the 1860s rules and wearing civil war era uniforms, the local Winter Park-Fraser team took on the Central City Stars. We joined the cranks (1860s slang for fans) on the bleachers for an up close view, enhanced by popcorn, of course. The Winter Park-Fraser team won the match. 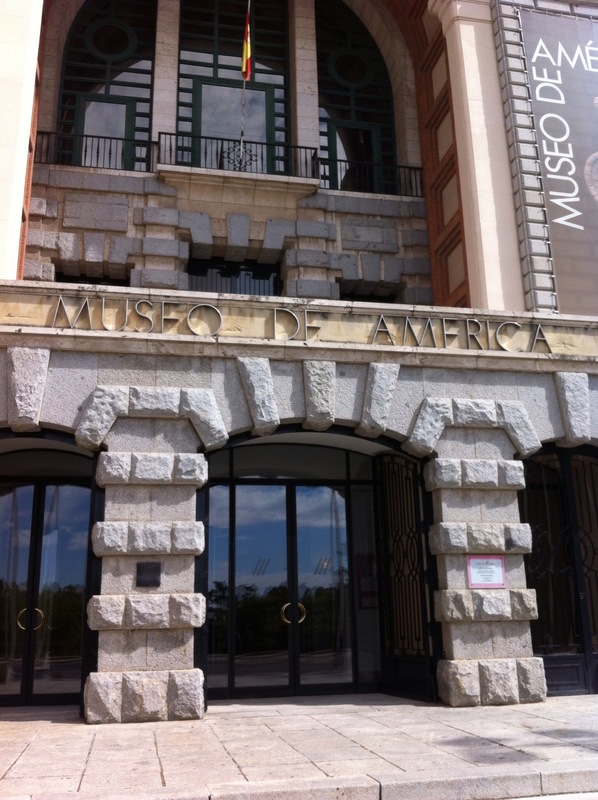 Keeping with our studies of Spanish exploration of the New World, we went to the Museum of the Americas (Museo de America). This collection, begun in the 1700s with items brought back from the Spanish colonies, is extensive and covers both North and South America. Now housed in its own building, the museum was recently renovated. The highlights include a series of panels showing Cortes defeating Montezuma and the Madrid Codex, one of only 4 known Mayan books in the entire world. We had the complex nearly to ourselves, as it is a bit off the main tourist route. The Prado Museum was our next stop in Madrid. As it is now late September, we found the crowds have lessened, and there was no wait for tickets when we arrived mid-morning to the Prado. There was no formal children’s activity, so we made our own art scavenger hunt with a list of museum highlights from the Gallery guide and a map. We spent an hour going through the permanent collection and took a lunch break in the cafe before checking out the temporary exhibit. The temporary exhibit focused on El Greco, and his influence on painters of the modern era. Boy especially liked a series from Picasso, where the original El Greco paintings were hung next to the Picasso interpretations of the same picture. Very crazy, mixed up versions! We followed this up on another day with visit to Museo Nacional Centro de Arte Reina Sofia, home to modern and contemporary artists. The collection here included more Picasso, along with Dali, and other surrealists. 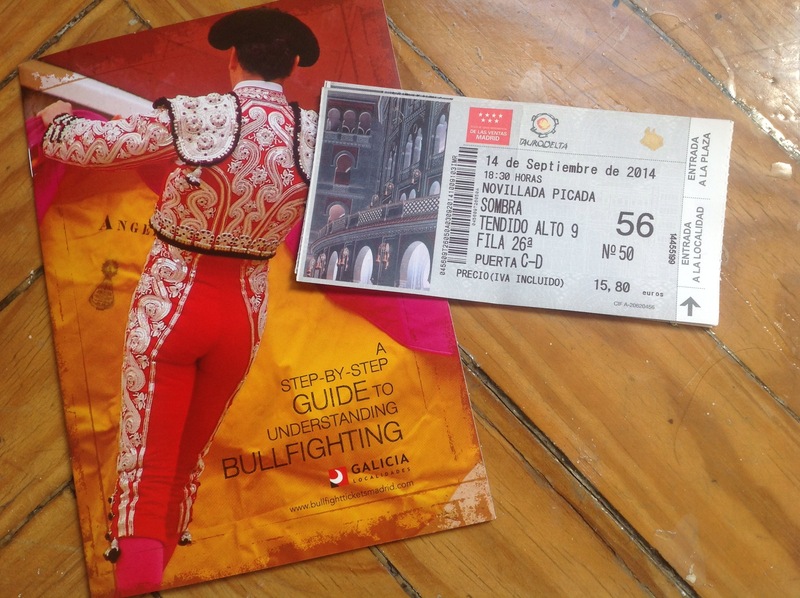 Before leaving Spain, we decided to take in a bullfight. 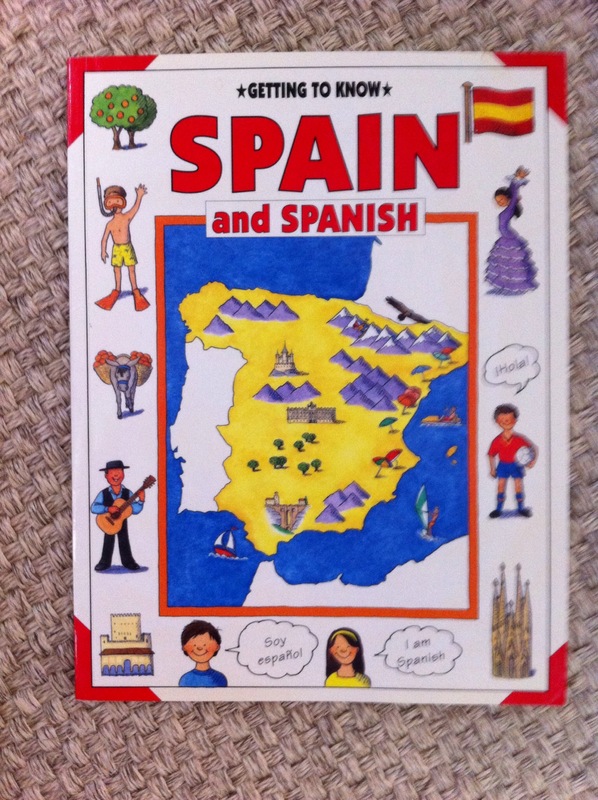 We debated this long and hard, but ultimately decided that it was an historical and cultural spectacle that had great influence on Spanish culture. We also did not feel fair judging the event without actual knowledge of it. We booked seats in the shade (it’s is more expensive than seats in the sun), and settled in for the afternoon. It was indeed bloody. After one fight Boy (and I) had enough. I much prefer rodeo as a means of showing riding and animal management skills. With the summer coming to an end, we entered Spain for our final European stop, before our visas expired. 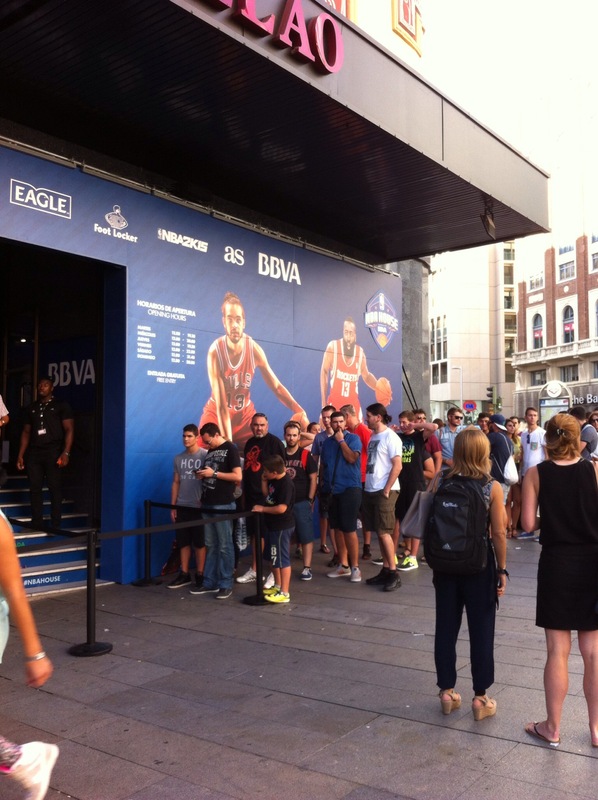 We found flights to Madrid far cheaper than the train, but struggled finding a place to sleep, as the city was full for the World Cup of Basketball. We managed to find a small apartment right on the Plaza del Sol in the city center. While well located for getting around the city, the location right on the main plaza, in a city where dinner restaurants often don’t begin serving until 9PM and the parties go all night, has meant an adjustment to our daily routine. We are doing our best to join the stay out late and take an afternoon siesta crowd, but have yet to make it to dinner after 8:30 PM, sticking mostly to snacks and tapas. 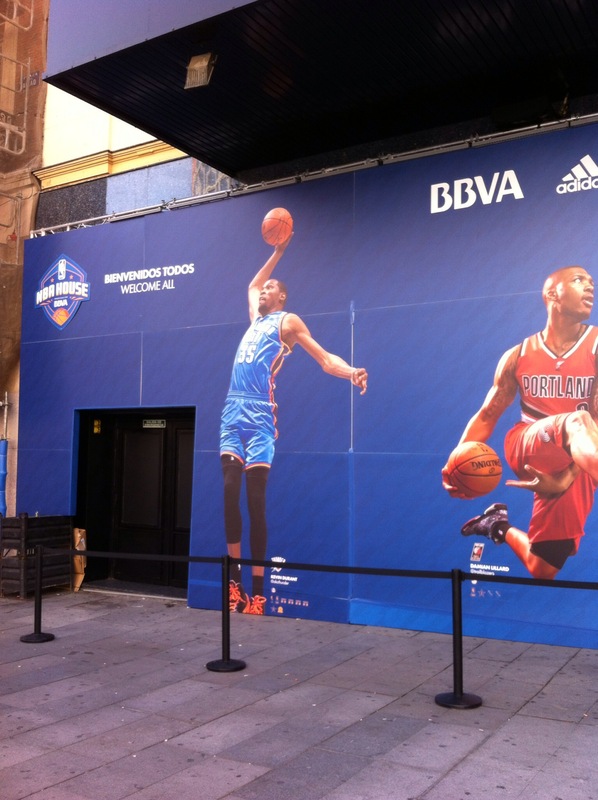 We have enjoyed the excitement of the basketball World Cup, and were excited to come across the NBA House, basketball experience, just a few blocks from our apartment. 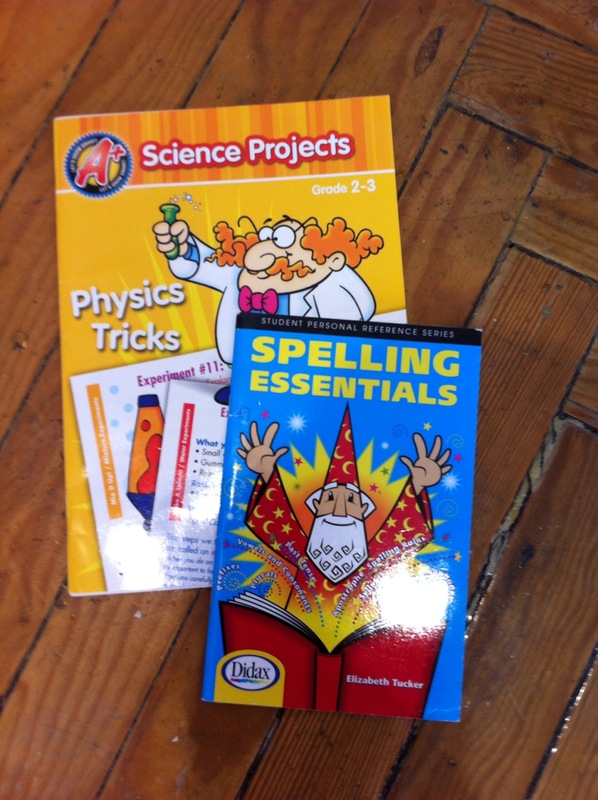 We are studying Spanish exploration of the New World and taking the time to catch up on spelling and science, topics that have not gotten as much attention during our European history tour. 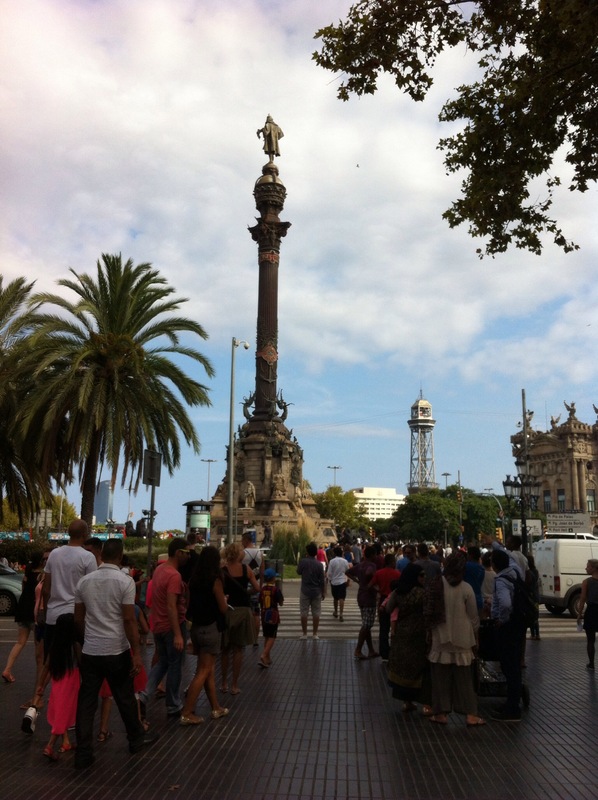 Barcelona was an extra stop for us on the trip, and we had not given it our full attention for planning, a fact that became apparent as we struggled through our second day of sightseeing. 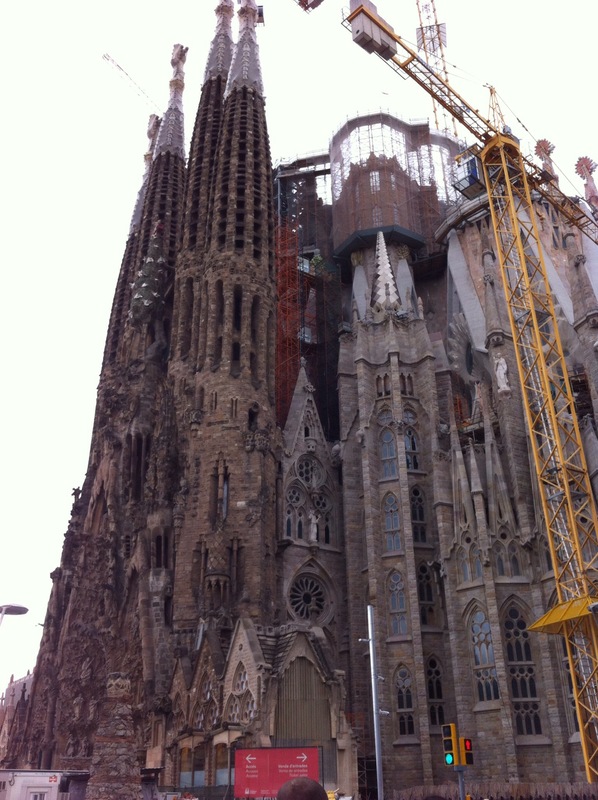 We decided to view the La Sagrada Familia church, but had not booked tickets ahead. We turned up after breakfast to find a line that stretched around three sides of the cathedral. While waiting in the line, we checked on our phones for online bookings and found that we could only buy an online ticket for the same day at 2:45 pm. As it was only 10 am, we decided to stick with the line, and expected to get in to the church around noon. It was about noon when we finally made it to the ticket window, where we found that the window was selling the same prebooked tickets as online, and our earliest entry would now be 4:30. Had we known that, we would have gone ahead and booked the online tickets back at 10 am! We took a lunch break in the park and let the boy run a bit on the playground before heading farther into town for the Museum de Xocolata (chocolate museum). 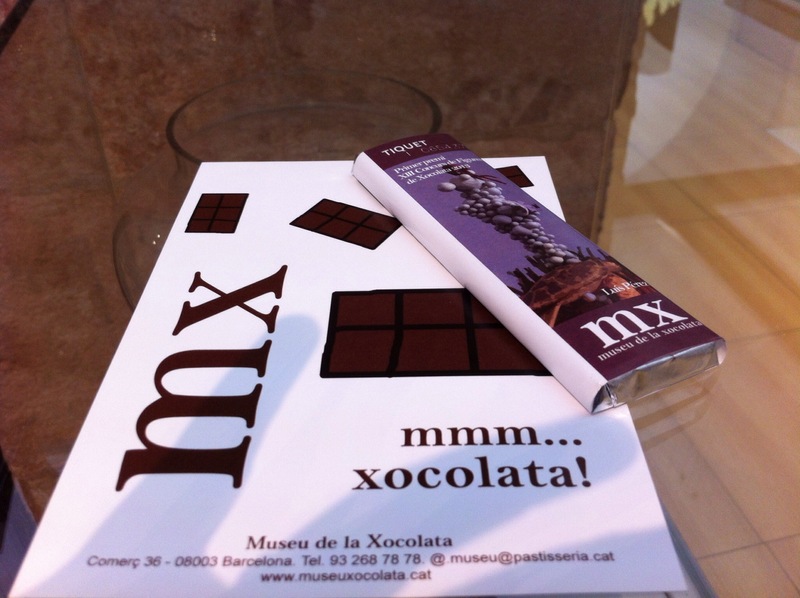 Here we perked up a bit when we realized the museum tickets were in fact chocolate bars! You scanned the bar code on the wrapper, and then could enter the museum. The exhibits covered quite a bit on Spanish exploration of the New World, tying in nicely with yesterday’s study of Columbus. After fortifying ourselves with a few more tastes of chocolate, we walked through the eighteenth century market, and burned some energy in the plaza near Santa Maria Del Mar by chasing bubbles blown by a street vendor. I was quite happy to give him my change for entertaining and tiring out Boy. 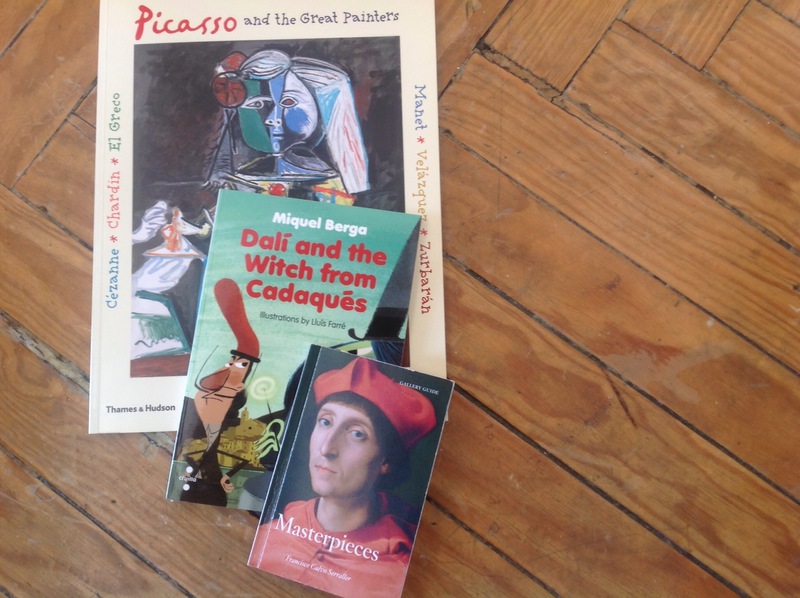 Before returning to see Gaudi’s cathedral, we stopped by the Picasso museum. The entrance line snaking around the building was again enough to deter us, and make us wish we had planned ahead. Instead, we stopped in the museum shop and browsed books and reproductions of his works. 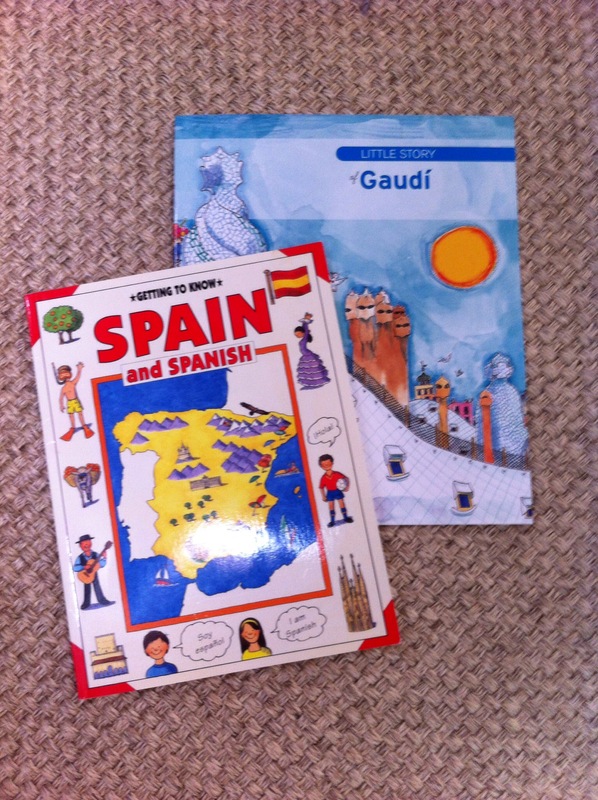 The shop also had a number of books and reproduction of Gaudi’s work, allowing a quick discussion of Spanish Modernism, and some comparisons between the two artists. On arrival back at La Sagrada Familia, Boy pronounced that it looked like an alien had built the inside of the church; a succinct description of the Modernist style. Our home for Barcelona was a budget hotel out in the suburbs. Nearby, the local public swimming pool was packed, celebrating the end of summer, so we dropped by for a swim and a play before beginning any sightseeing. The metro was a quick ride into the city, where we walked Las Ramblas, a pedestrian street through the old Medieval city. The street ended at the waterfront, beneath a towering column, topped with a statue to Christopher Columbus. When he approached Isabel and Ferdinand, the Spanish Queen and King for funding to make his journey to America, the court was temporarily located in Barcelona. Thanks to this chance, Barcelona lays claim to the explorer. The statue shows him looking off into the distance, as if towards the new world, though in practicality, he is looking in the direction of Sicily. 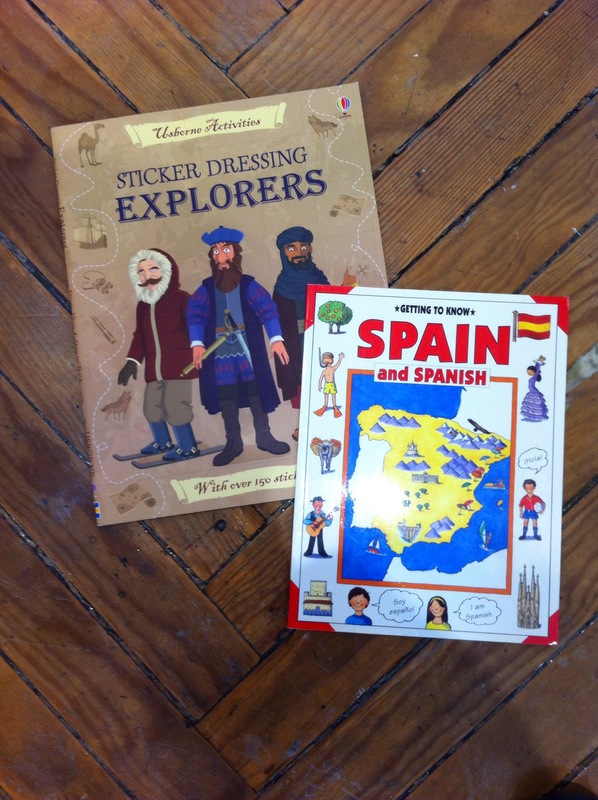 This led to our discussion and reading of the discovery of the new world and the role of Spain in New World exploration. Our reading included “Columbus,” by Demi, an ebook. 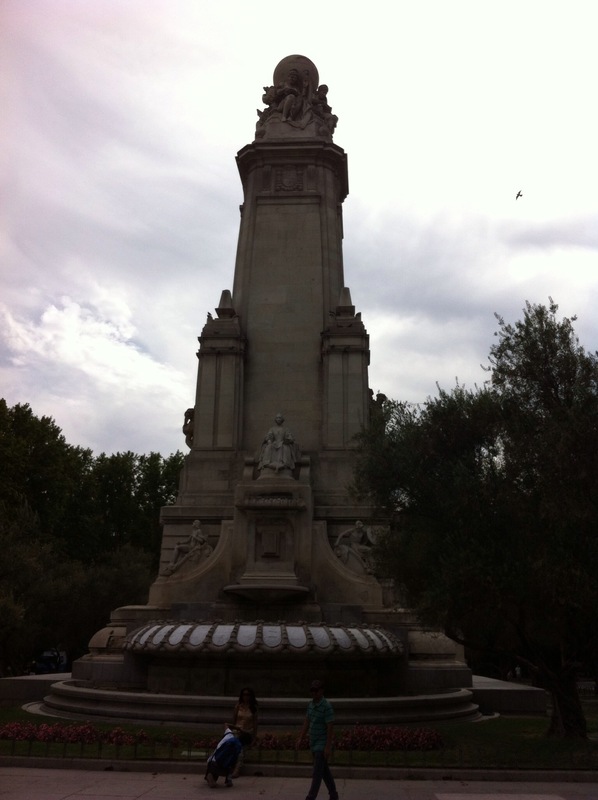 We flew into Madrid, and a taxi brought us to our hotel near the Plaza Espana. An Egyptian Temple was there to greet us, a most unexpected sight. A gift to Spain in the 1960s from Egypt, in thanks for their assistance saving the Temple of Abu Simbel from submersion by the Aswan Dam, the Temple of Debod, was moved block by block from Egypt and set up in a public park overlooking Madrid. 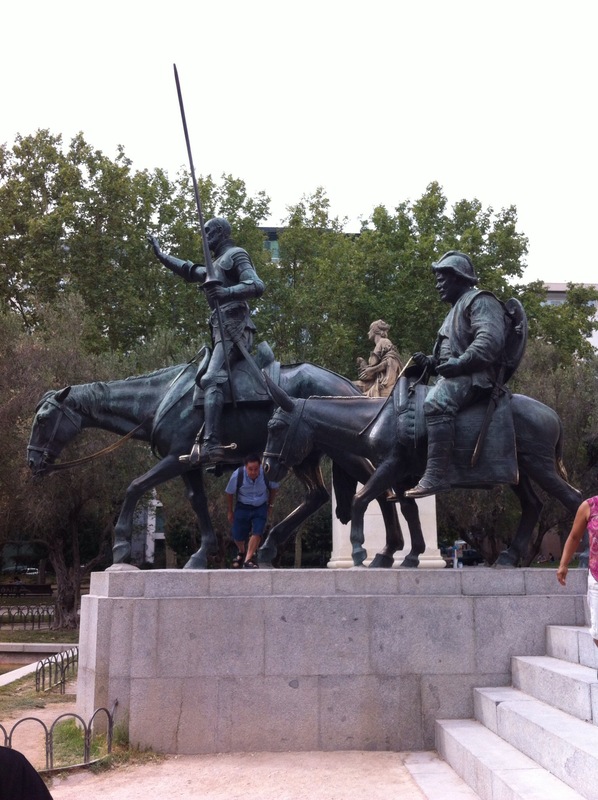 We also happened across the monument to Cervantes, fronted by a massive statue of Don Quixote and Sancho Panza. We followed this up with a reading a of a few chapters from a children’s abridged version of Don Quixote, “Adventures of Don Quixote” published by Dover Children’s Thrift Classics as an ebook, and we were pleased to see a number of windmills the next morning on our train to Barcelona.